Born in England, Rob emigrated to Australia as a toddler where he grew up and worked hard, earning himself two undergraduate degrees in business and engineering, then later an MBA. 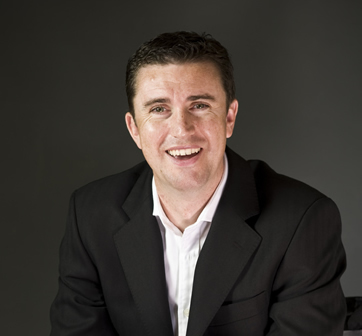 After serving an influential term in the Australian Air Force where he worked with leaders at all levels to develop their business management, leadership and command skills, Rob returned to the UK to apply his expertise in a range of fields including coaching and leadership development. Priding himself on his ability to deliver real and sustainable change within people and organisations, Rob has always had a dramatic impact with those he has worked with. His approach focuses on helping people to build a deeper level of awareness into who they are and what they desire from thier lives. He then helps them to fulfil this through unlocking the latent potential they have within. Rob’s twelve years of experience in his field and an encyclopedic knowledge of the professional world puts him in the perfect position to offer invaluable insider advice on how to be a successful in your career in life beyond University. He has done so in the form of his book; Grad Expectations: the essential guide for all graduates entering the work force. To find out more about Rob, visit www.rob-cross.com. Copyright © 2009Rob Cross. All rights reserved.